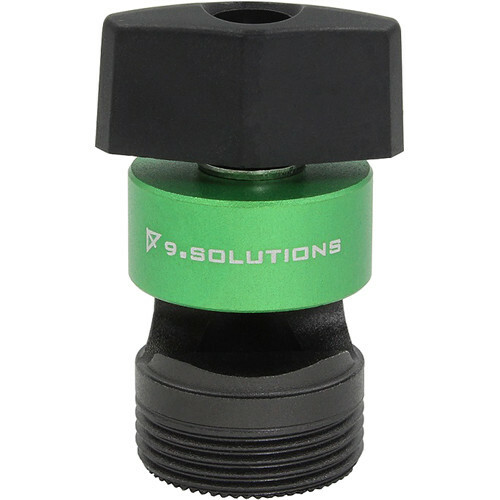 The Quick Mount Receiver to 3/8" Gag from 9.SOLUTIONS allows you to attach Quick Mount accessories to any 3/8" diameter rod for creative rigging possibilities. It features a thumbscrew for secure clamping and a side opening design that lets you attach it anywhere along a rod without having to slide it on from the end. Box Dimensions (LxWxH) 3.6 x 3.4 x 0.6"